Attention: The FedAPI service is not currently active. If you are interested in FedAPI, please contact us at fedapi@540.co. We believe public government data should be easier to access. 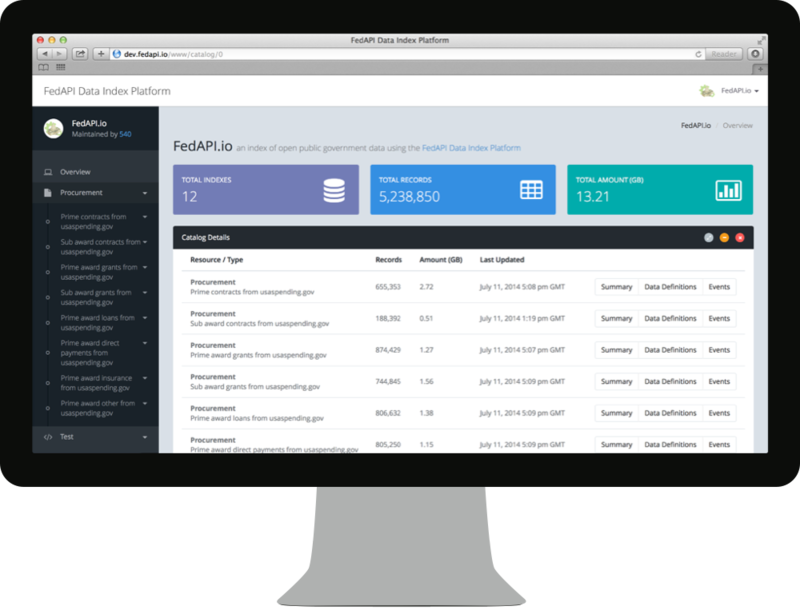 FedAPI empowers your developers and descision makers to use data you already have but aren't able to easily get to today. Copyright ©2018 540.CO LLC. All Rights Reserved.